Happy anniversary to Black Beauty, which turns 138 today. Though it was written during a time when horses were beasts of burden far more than they are today, the animal cruelty issue still resonates—which is why Black Beauty is one of the best selling books in history. Read on to learn more about the classic tale. 1. BLACK BEAUTY ISN'T THE FULL TITLE. It’s actually Black Beauty, his grooms and companions; the autobiography of a horse, 'Translated from the original equine by Anna Sewell'. You can see why everyone shortens it. 2. AUTHOR ANNA SEWELL'S MOTHER WAS THE WRITER OF THE FAMILY. Though Anna would eventually eclipse her mother in both fame and book sales, Mary Wright Sewell was the more successful author for most of her life. The elder Sewell wrote several books, including Mother’s Last Words and Other Ballads and Homely Ballads for The Working Man’s Fireside. 3. SEWELL WASN'T PUBLISHED UNTIL SHE WAS 57 YEARS OLD. Anna honed her writing skills by helping her mother edit her books, but she didn't get her own book published until she was 57. She started Black Beauty when she was 51, and it was her first and only publication. 4. BLACK BEAUTY WAS INSPIRED BY A PET. Sewell biographers believe that the title character was based on Bess, a spunky horse owned by her family. Though she was spirited, the Sewells loved her and considered her one of the family. 5. SHE WAS PAID JUST £20 FOR THE BOOK. Sewell sold her masterpiece to Jarrold and Sons in 1877 for a single payment of £20. They published it the same year, and it became an instant success. 6. SEWELL DIED JUST FIVE MONTHS AFTER IT WAS PUBLISHED. It’s possible that Sewell could have made more money off of the book once it proved to be popular, but she never got the chance to negotiate with her publisher. She died of hepatitis in April 1878, just five months after the book came out. 7. A SIGNED COPY WILL SET YOU BACK. 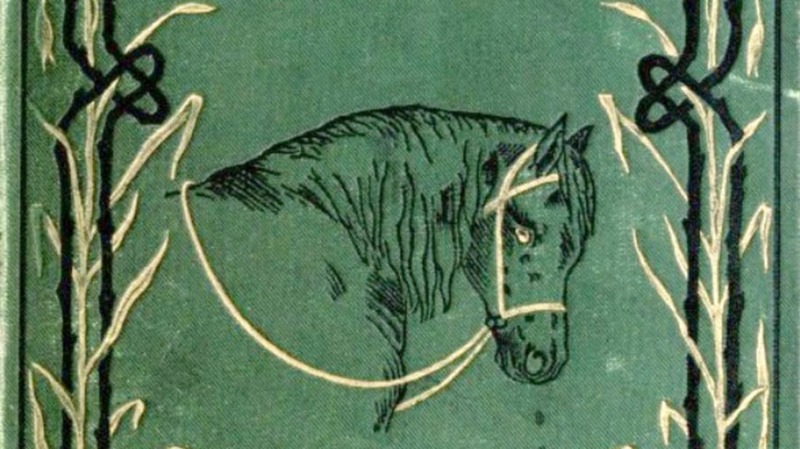 The green, cloth-bound first editions of Black Beauty are rare, but even rarer is a signed copy. Because Sewell died so soon after the book’s publication, she wasn’t around to make out a lot of inscriptions. She did manage to sign one for her cousins that read: “Mary and Catherine Sewell from their affectionate cousin the author Christmas 1877.” This copy sold for £11,875 ($18,133) at a Christie’s auction in June 2015—and that’s nothing. In 2006, the copy she signed for her mother (“Mary Sewell, from her loving child A.S.”) went for £33,000 ($50,693). 8. THE BOOK WASN'T INTENDED FOR CHILDREN. Anna was an animal lover in general, but she was particularly fond of horses after she sprained her ankle as a child and was forced her to rely on them for transportation. When she wrote Black Beauty decades later, it was intended not to amuse children, but to make adults think about what they were putting horses through. 9. IT HAD A VERY REAL IMPACT ON THE TREATMENT OF HORSES. According to NPR, “There is little doubt” that the book was responsible for the death of the “bearing rein,” a strap that pulled the horse’s head down toward its chest to create an arch. The position was painful for the horse, causing great pain and respiratory problems. 10. IT INSPIRED OTHER BOOKS ABOUT ANIMAL CRUELTY. Among them was Beautiful Joe, a tale written from the point of view of a dog whose ears and tail were cut off by his master. Though it hasn’t turned out to be quite as classic as Black Beauty, Joe was quite popular in the 1930s, becoming the first Canadian children’s book to sell more than 7 million copies. 11. IT'S ONE OF THE BEST SELLING BOOKS OF ALL TIME. With more than 50 million copies sold in 50 languages, Black Beauty is one of the most popular books in history. For reference, other books in the 50 million range include The Catcher in the Rye, Charlotte’s Web, The Da Vinci Code, Anne of Green Gables, and all of the Harry Potters (except Philosopher’s Stone, which is up to 107 million).